Where I live, it has been too hot and too humid this summer. Quality of life has degraded. Ongoing climate system change is hitting my home, and is likely in-your-face as well this year; please comment on your own situation. 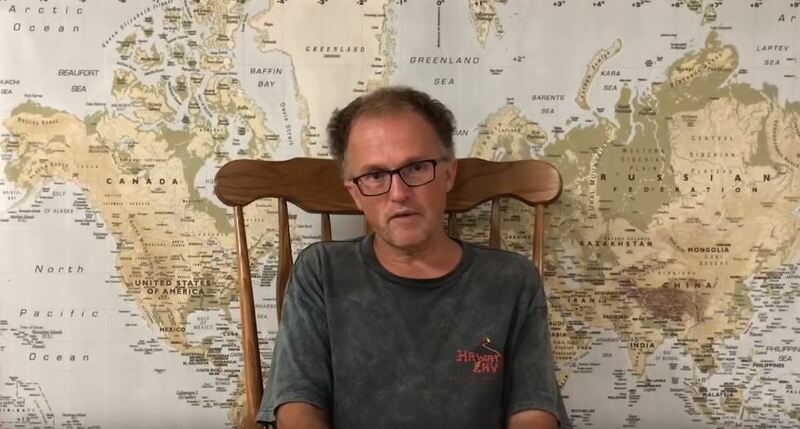 I chat about heatwaves, droughts, wildfires, and monsoonal like torrential rains that are worsening as Arctic sea-ice degrades. What about human responses. Scientists are very worried but lack power. Politics is divisive. As climate change causes more and more migration, governments become more and more populist and nationalistic and also deny climate change. What can we do?? Please consider donating to support my work. I put a lot of time and effort into researching, studying and producing my videos so that you can learn how quickly our world is changing. Donating does not need a PayPal account, but simply a credit card. Please click here. Well known climate science educator; Part-time Geography professor (climatology, oceanography, environmental issues), University of Ottawa. Physicist. Engineer. Master's Degree in Science in Laser Optics, Bachelors of Engineering, in Engineering Physics. Won Association of Professional Engineers of Ontario gold medal. Also interested in investment and start-ups in climate solutions, renewable energy and energy efficiency. Avid chess player, and likes restoring old homes. Married with children. This entry was posted in Climate Change, New Video, Rapid Climate Change and tagged New Video. Bookmark the permalink. Thank you for the post, Paul. I live in Northern California, and it’s the second summer in a row we’ve had extreme wildfires. We don’t live in a high-risk fire zone, but the smoke can get bad. My son, who recently moved back to California, has commented on how these types of events didn’t happen when he lived here before. We have an uneasy feeling about the future, too. I live in Australia, weather variability here masks somewhat the changes in climate that are becoming apparent in other places around the world. The Southern Hemisphere climate ‘seems’ to be C. 5 yrs behind the northern hemisphere in showing climate change effects…. However, there is a visible lack of flying insects. I don’t need to clean my windscreen at all except when it is dusty. This has been a very unusual summer due to a full season of humidity, heatwaves, and a particularly scary electrical storm that prevented the stores from operating, as well as many traffic lights in the business sector on the hill in Fredericton. We are amidst of the effects of global warming, and I am convinced of the necessity to hault as much fossil fuel usage as possible. Governmentally, we are at an empass. What to do, what to do?? “The common enemy of humanity is man. changed attitudes and behaviour that they can be overcome.